Frederick Law Olmsted, c.1890, courtesy of the National Park Service, Frederick Law Olmsted National Historic Site. 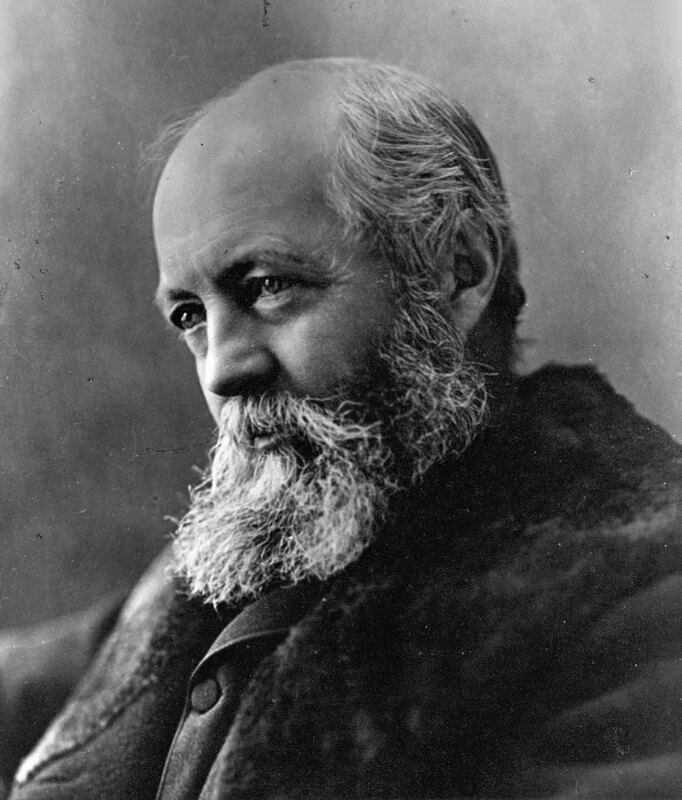 Sunday, April 26th, marks the birth date of Frederick Law Olmsted. No short list of the most important and influential Americans of the nineteenth century would omit the name of Frederick Law Olmsted: mid-century agricultural reformer; sharp-eyed observer of slavery and slave society before the Civil War; mainstay of the United States Sanitary Commission; and the nation’s leading landscape architect and park designer—the creator of Central Park in New York City and leading conservator of Yosemite in California. Olmsted’s hundreds of projects preserved the natural world and placed the built environment comfortably aside natural beauty. Within days of Olmsted’s birthday, Johns Hopkins University Press will publish Frederick Law Olmsted: Plans and Views of Public Parks, edited by Charles E. Beveridge, Lauren Meier, and Irene Mills. This project, in the works for 40 years, highlights Olmsted’s drawings and plans in large format and glorious color. Lavishly illustrated with over 470 images—129 of them in color—this book reveals Olmsted’s design concepts for more than 70 North American public park projects through sketches, studies, lithographs, paintings, photographs, and comprehensive descriptions. We who care about American history benefit greatly from the work of the historians—Charles McLaughlin, Charles E. Beveridge, and many others—who, since the 1960s, have devoted themselves to the selection of Olmsted’s most significant papers, annotating them, and seeing them to publication in The Papers of Frederick Law Olmsted. Here we have, in wonderful combination, first-rate scholarship, distinguished book publishing, and the memorable work of an extraordinary American. On Tuesday, August 4th at noon, Lauren Meier will speak about Frederick Law Olmsted at 92nd Street Y. For details, please click here.